White Cottage on George Street in Sheringham, Norfolk is situated adjacent to Flint Cottage and is decorated and furnished throughout in a high quality, contemporary style. Situated a few minutes easy walk from all the amenities in the town centre, the station, and the beach. The spacious holiday cottage sleeps 6 (+ cot) in 3 bedrooms (two double bedrooms and one bedroom with full-sized bunk beds). There is a lounge with comfortable sofas and a separate dining room ( with full size dining table and 6 chairs ) , a fully fitted modern kitchen includes dishwasher, microwave and fridge freezer, adjoining utility room and separate WC with wash basin. Upstairs a high-quality bathroom with walk in shower cubicle and a separate WC. Outside there is a spacious pretty cottage garden ( colourful from spring time onwards ! ) complete with patio, garden table and 6 chairs and a BBQ. A small covered area provides excellent storage for beach equipment. See the White Cottage PICTURE GALLERY. 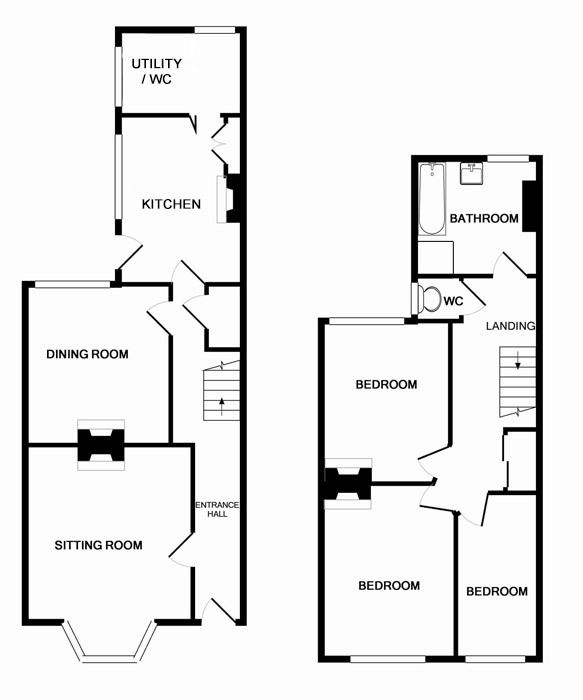 White Cottage floor-plan (click to enlarge). The self-catering Cottage comes fully equipped with all the creature comforts that make for a relaxing break – flat screen TV & DVD player, CD player, washing machine, fridge, freezer, dishwasher & microwave. The double bedroom also has a flat screen TV. Extras including a travel cot, high chair and stair gate are also available in the cottage free of charge. Bed linen is included in the tariff and all beds are fully made up in advance of guests’ arrival. Tea towels are provided. Bathroom towels are provided for each guest, inclusive in the tariff. The secure, completely enclosed garden makes the property ideal for pets and DOGS ARE WELCOME by prior arrangement at no extra charge. White Cottage is non smoking throughout. View the ACCESS STATEMENT for White Cottage (PDF). View our Flint Holiday Cottages Terms & Conditions and our DOGS POLICY (PDF). More questions? See our FAQS. 2019 Tariffs £425 – £885 per week , short breaks (3 nights) from £295. Bed linen, Heating & electricity costs included. 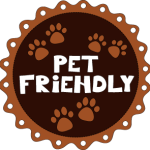 We do not charge any separate booking fees, or for pets. Discount for 2 persons occupancy. Check Availability For White Cottage. Please call us on 07966 398245 or use our email contact form if you have questions about availability and to book. To view the location of White Cottage please click here. See late availability dates for White Cottage on our Latest News page.